You love getting invited and going to parties. Learn how to throw legendary outdoor parties for your family and friends! From the moment you are born, you get thrown into a culture where everyone seems to find an excuse to celebrate. A birthday, anniversary, promotion, reunion, holiday, and other milestones appear on your calendar. These types of gatherings are means for people to come together, socialize, and recognize the event. What about the people involved with planning these events? Outdoor parties are among the most popular, so let us learn the 10 essentials of how to throw your own lavish outdoor party. Enjoy this video clip of Jay Gatsby, who can certainly teach anyone a thing or two about mind blowing festivities! 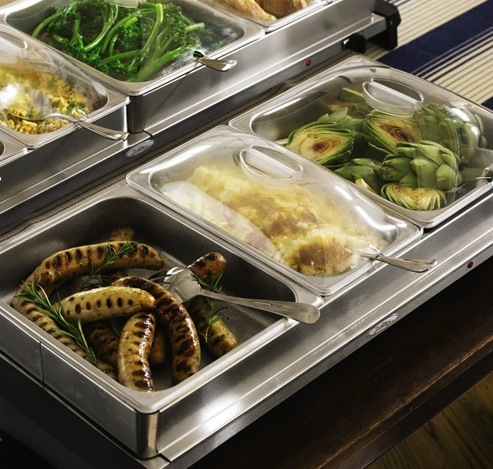 Your next party can evoke Country Club charm with the stainless steel buffet server by BroilKing. Promote good conversations between guests knowing that their food will be ready for them staying hot at all times. If guests shows up late, they can appreciate the care�you�took by making sure their meal was ready anytime they arrive and would not suffer from cold entrees or "microwave mouth"! Did I mention the protective covers help keep those pesky insects away from your food? Make sure to visit the Chefs Catalog coupon and deal page for great savings on your favorite products! 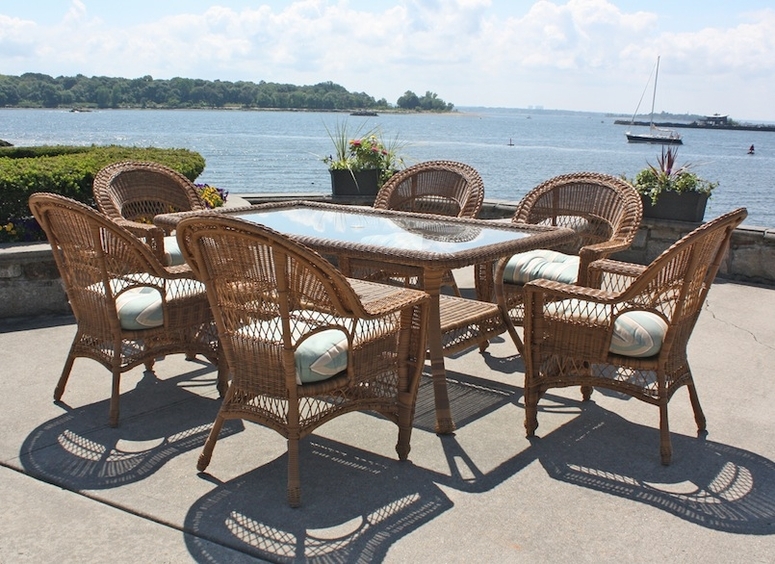 Sure you can use your teak, cast aluminum, wrought iron and other outdoor dining furniture. We love using all weather wicker for outdoor parties and events! With woven detail and roomy dining chairs, add stylish wicker furniture and luxurious comfort your guests will enjoy all night long! Wicker Paradise's Cape Cod dining wicker furniture comes in white or natural color with many choices of fabrics to match your outside decor! 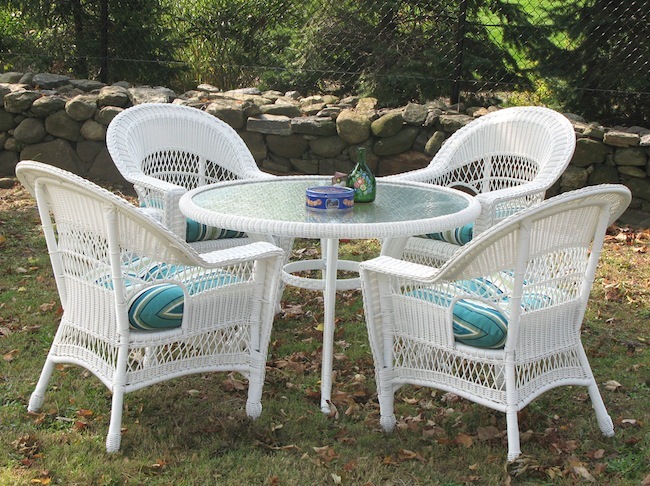 Enjoy the round wicker dining set or deluxe size wicker dining collection. Insects can put a damper on some of your most glorious occasions, especially outdoor parties where your guests are doing the YMCA (without music) trying to swat these mosquitoes. 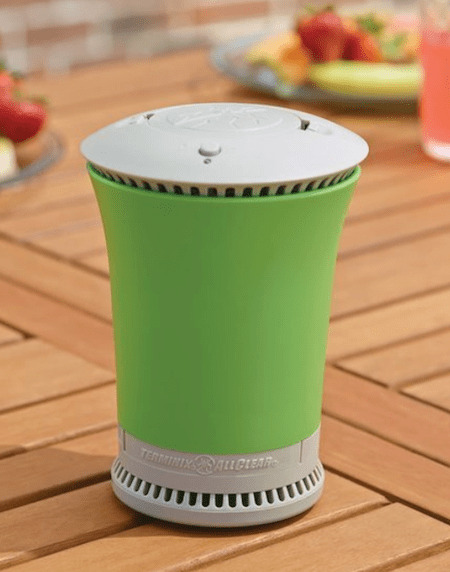 Enter the Portable Tabletop Mosquito Repeller. At the size of a small drink, this is your answer to a mosquito free zone. It works by sending out a spray mix of lemongrass, peppermint and geranium oils. Mosquitoes can not stand these scents, and we get to freshen up party areas! Why send a fabulous outdoor party to a close because of darkness? 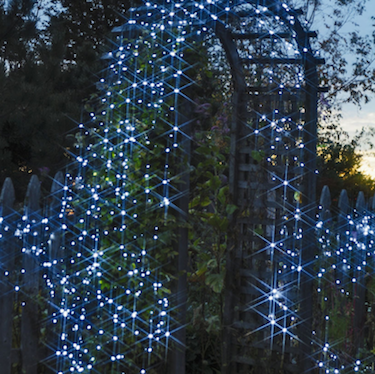 Invest in your favorite outdoor lighting system and create that outdoor wonderland! Solar illuminated planters are a terrific choice to accent your outdoor living areas. 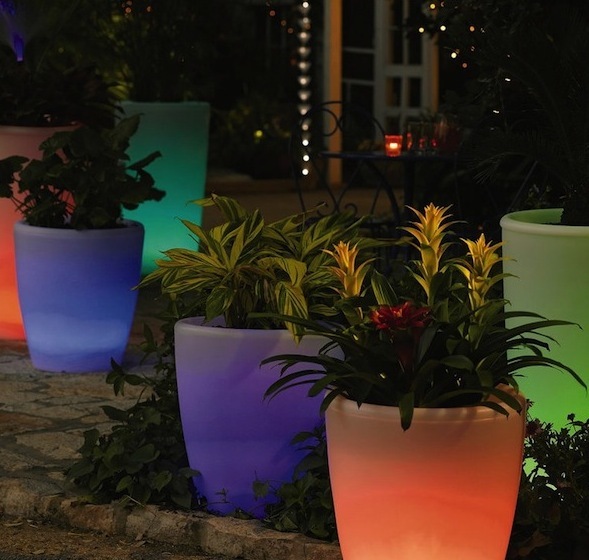 Add plenty of smiles as you combine multiple colors or go into color changing mode on these illuminated planters. Umbrella owners can easily enhance the outdoor lighting effect. Purchase hanging umbrella lights from your local hardware store, which attaches to your umbrella, illuminating your outdoor area! GLOW-CRETE allows you to cover your clean surfaces with glowing aqua blue glow in the dark effects. 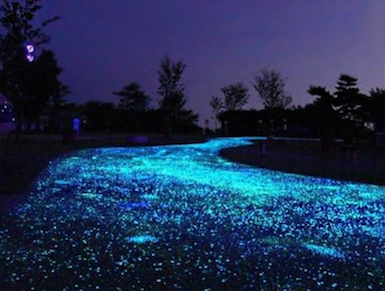 Send your guests off in style as, they leave your company in a glow-in-the-dark driveway! Also, "Christmas lighting" style kits are available with fun colors to drape over parts of your home. A spectacular host knows deep down your guests have come to your event looking for a retreat, looking to have fun, unwind, and enjoy their surroundings. 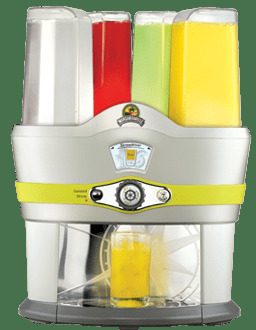 Kickstart that notion with the versatile mixed drink maker by Margaritaville Cargo allowing 48 different cocktail combinations! Remember to pace oneself, spectacular party host. Unless you want to be the "Key Master" like John Cusack in Say Anything, who takes car keys from guests of the party, putting them all in a sack until it is safe for them to drive. 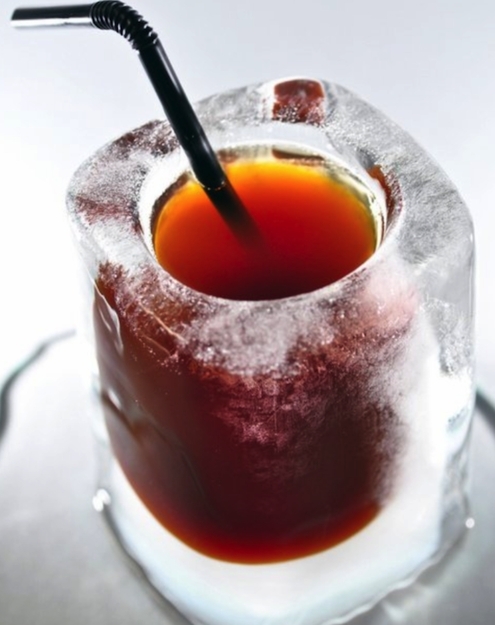 Ice Shot Glasses: When it is hot outside, anything cold is the top priority in rectifying that situation! Your next toast will be a happy group as they drink down cold goodness during your next party. A party without music is a party without a heart beat. Being the excellent party host you are, invest in outdoor speakers. 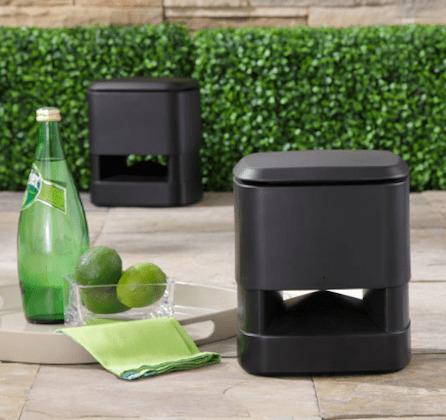 These wireless indoor/outdoor speakers by Sharper Image allow you to hook up your stereo, iPad, iPod, iPhone, and other Mp3 players to set the mood during the different parts of the occasion. If your going to have music, do it right! 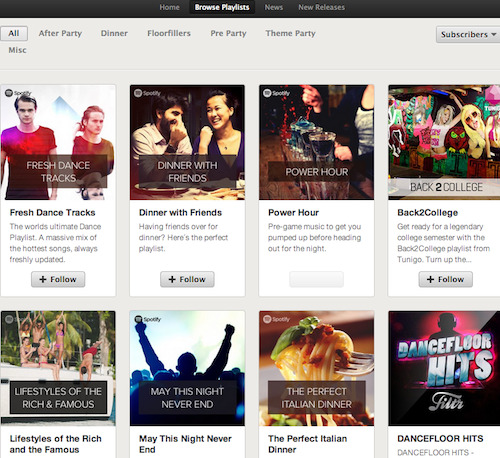 Stop spending countless hours devising the perfect playlists for your gatherings. We love using Spotify as it runs on your computer, tablet, iPhone and other platforms. Hook Spotify up seamlessly to play music through speaker systems. Create on the go playlists listening to Spotify stations and adding songs to customized playlists instantly. User generated playlists, top 10 lists, playlist by mood and other innovative ways to discover new music make this Wicker Paradise's favorite music app! The option for you to sync your playlists to play anytime with the available offline feature, even without an internet connection lets you rock any event! Your own outdoor movie theater. Show family videos, funny YouTube videos, and movies out on the patio! 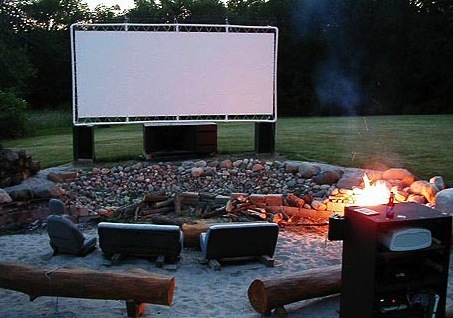 We recommend checking out the outdoor movie theatre projector guide for more assistance. Start taking picture prints at your next outdoor party! 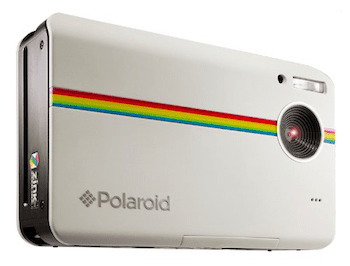 The Polaroid Digital Instant Print Camera allows you to distribute physical prints of the best moments of your party on the spot! Take family photos that you can give to your family immediately after snapping that precious moment. All the pictures we take on cell phones. What a waste, just sitting in the camera roll with the potential for greater possibilities. Give the gift of instant gratification! What are your essentials for throwing outdoor parties?